Throwback Thursday "Santa in a Diner"
Even though Christmas is past, I thought this was a fun photo to share. 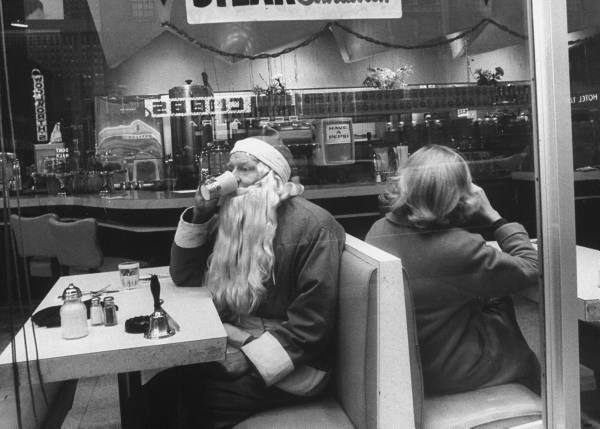 It looks like Santa is done with all his deliveries and is enjoying a bite at a NYC diner! I really love these vintage photographs that take us back in time. Santa has a good rest period now for another 365 days until he gets to do it all over again!